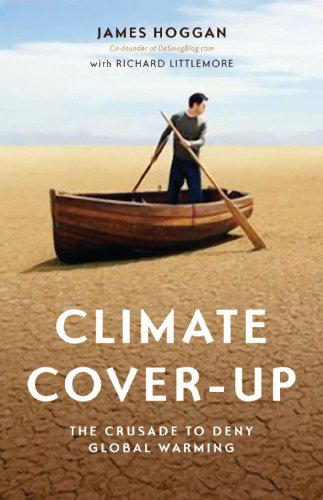 Climate Cover-Up, written by James Hoggan with Richard Littlemore, reveals, explains and systematically dismantles the public relations machine behind this politically debilitating confusion. Hoggan is a PR man himself and co-founder of DeSmogBlog. He has an old hand’s ability to delineate how industry groups have used think tanks, clever advertising, bogus “experts,” and corporately-funded “astroturf” groups to create the illusion of scientific uncertainty, a perception that an inexpert media has carelessly reported as real debate. Climate Cover-Up offers a clearer understanding of how the other side operates. Hoggan calls on us to be well-educated and vigilant, but shouldn’t we also be learning something from our opponents? Winning requires savvy PR as much as the truth.